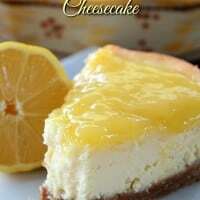 Lemon cheesecake is SO DELICIOUS! 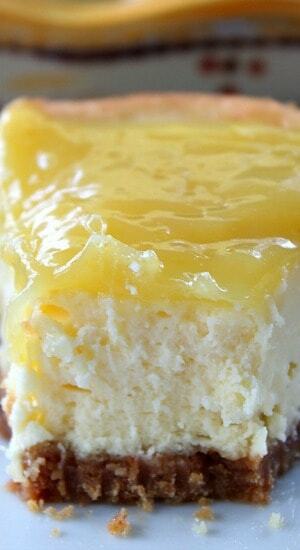 This luscious lemon cheesecake is definitely to die for. 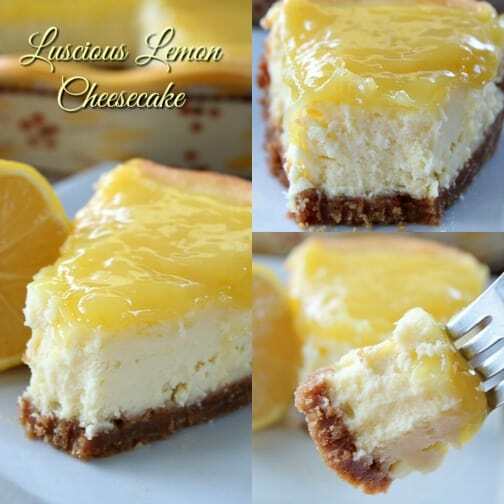 This luscious lemon cheesecake is full of amazing lemony flavor. Moist, creamy and so heavenly! Sweet, tart and lip puckering delicious. Just look at that glaze starting to ooze it’s way down the side of this piece of luscious lemon cheesecake. So yummy. Actually, I could have cooked the glaze a little longer, but it turned out amazing just like this. Lemon cheesecake is a favorite around here. Lemon anything is a favorite. 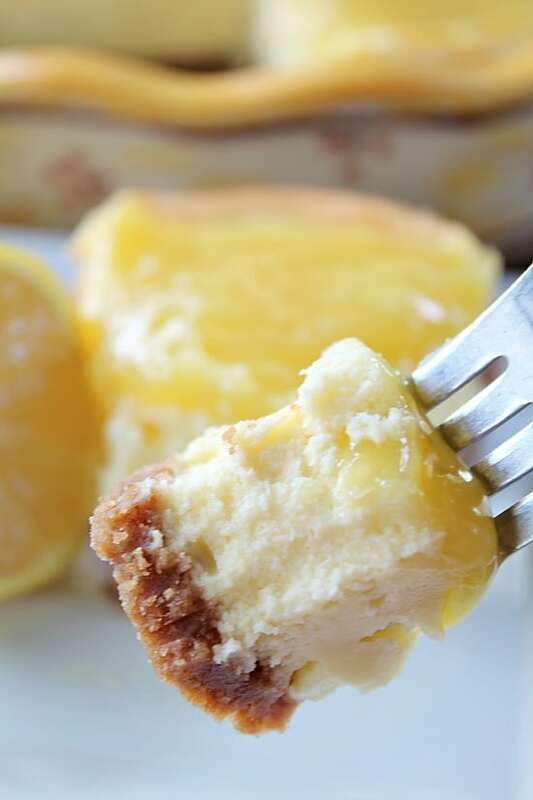 This luscious lemon cheesecake is well worth the time it takes to make. It’s SO amazing! Like I said above, it’s heavenly and you will definitely be in heaven with the first bite. Spring is finally here! Make a delicious, luscious lemon cheesecake on this first day of Spring. I promise you this, you will not be disappointed. 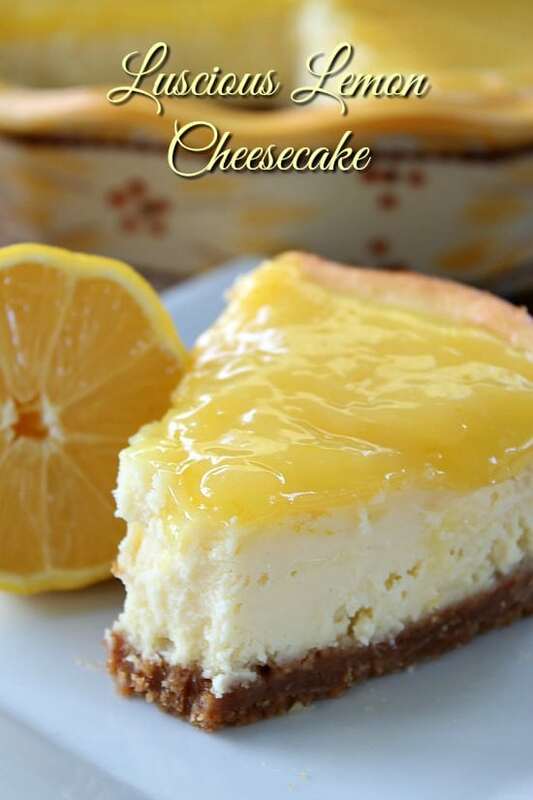 This delicious, luscious lemon cheesecake is mostly adapted from the Lady Behind The Curtain. I added more lemon zest and a few more adaptions. I LOVE this cheesecake and so will you! Make sure to check out all of her delicious recipes. In a large baggie, add graham crackers, a few at a time, and roll with a rolling pin to get fine crumbs. Continue this step until you have 2 2/3 cups. Add to medium mixing bowl, along with the sugar. Stir until combined. Whisk in melted butter until graham crackers crumbs are well coated. Press graham cracker crumbs into either a 9 inch springform pan or a 9 inch deep dip pie plate. Whisk eggs in a small bowl and set aside. In a large mixing bowl, beat on medium speed, cream cheese and sugar until creamy and smooth. Beat in eggs on low speed. Stir in lemon juice, grated lemon peel and vanilla. Stir until blended. Add lemon cheesecake mixture to graham cracker crust. Remove from oven and place on a cooling rack and cool for 10-15 minutes. Put cheesecake in the fridge for approximately 6 hours or overnight. In a small pan, whisk together eggs, sugar, lemon peel and juice until combined well. Add butter to pan and continue stirring constantly. Mixture will thicken and will be done when then lemon glaze mixture sticks to the back of a metal spoon. Remove from pan, put into a small bowl and let glaze cool for 15 minutes. 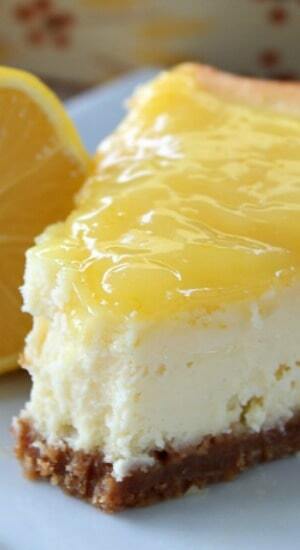 Once cheesecake has chilled, remove from springform pan, if using, and add lemony glaze. 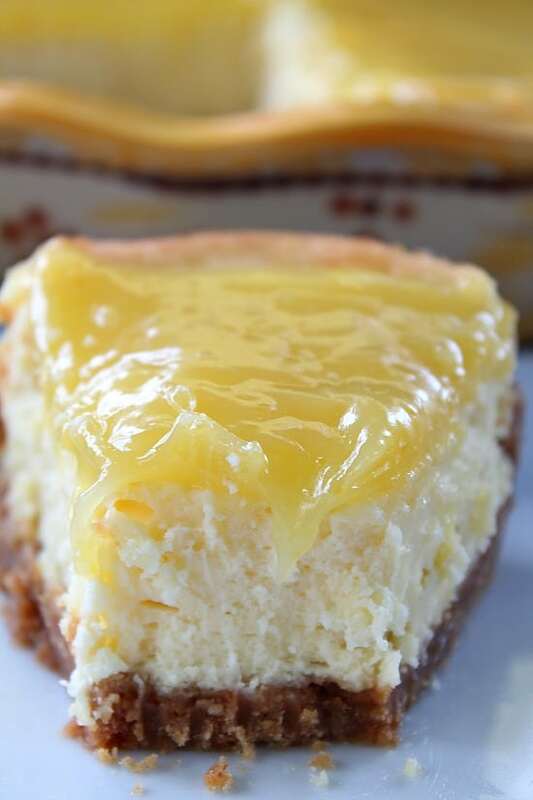 If using a deep dish pie plate, top cheesecake with lemon glaze and enjoy! Have you tried this cheesecake using limes instead of lemons? My lime tree is loaded with fruit so is my lemon trees but I would like to try this with limes. The recipe sounds delicious. Is organic sugar a must or can it be substituted with the regular granulated sugar? How long and at what temperature do you heat the glaze? Do we leave it come to a rolling boil? Hi Cathy, heat it over low/med heat and let it boil until the glaze thickens up and sticks to the back of your spoon. Then you’ll know it’s ready. Can you make the glaze the same day as the pie and chill the glaze overnight in a bowl and put it on the cheesecake the next day after the cheesecake is fully chilled? Looks delicious – I may substitute some of the sugar with swerve to cut down on the sugar for my blood sugar. We cannot wait to present this lemon cheesecake to our family and friends!